I have a particular soft spot for dogs. Maybe it’s because they are so cute and lovable, or maybe it’s because unlike humans, they can never lie to you or make racist comments at Thanksgiving. It is probably because of this that watching a dog die on film can be much harder than watching a human die. I don’t know, maybe I’m a sociopath. 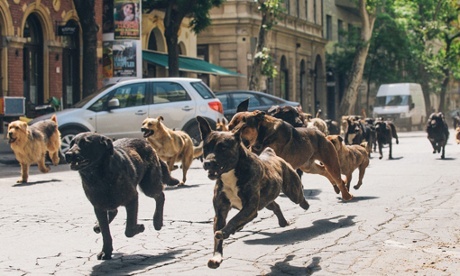 Along comes White God, a film in which an army of abandoned and neglected dogs join together and get revenge on mankind. Did you hear that? THERE’S A DOG ARMY. An army of dogs. White God doesn’t come out until March, but I’m already counting down the days until it comes out. It’s probably the only exciting thing coming out next year. What, are you telling me that The Avengers: Age of Ultron is going to have anything as cool as a dog army? Get out. This entry was posted in Uncategorized and tagged Dogs, Trailer, Trailer Park, Trailers, White God on December 9, 2014 by ian0592.